Career development awaits you in Perth, Australia! In two days with TapRooT® in Perth, you’ll learn to find and fix the root causes of incidents, accidents, quality problems, near-misses, operational errors, hospital sentinel events, and many other situational categories of problems. At course completion, you will receive a certificate and a 90-day subscription to TapRooT® VI, the online software service. Importantly, you will have the advantage of professional training in your expertise and on your resume! Your 2-Day TapRooT® course location will offer out-the-door convenience to some of Perth’s local highlights. 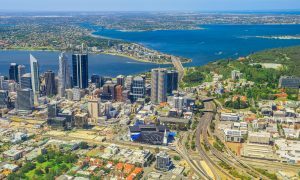 While you’re planning to visit Perth, you may want to stay a day or two longer, before or after your course, to take advantage of a capital city that offers everything from outstanding natural surrounds to the modern vibrancy of its atmosphere. Sightsee among 1800 trails on horseback. His Majesty’s Theatre, 825 Hay Street, will delight history buffs with its Edwardian influence and craftsmanship. Muse over vintage aircraft at the Aviation Heritage Museum at Bull Creek and encounter aviation history, from the Lancaster Bomber to the Spitfire to the Catalina flying boat. The sky’s the limit for nature lovers in Perth; you may want to begin with Rottnest Island, Penguin Island, or savor a blend of foodie heaven, wildlife, rolling hills, and vineyards in the verdant Swan Valley. Use the locations we’ve pinpointed on TapRooT®’s Perth Pinterest board as your exploration guide. In the course, we’ll participate in an exercise, using safety incidents or quality issues from your work environment. Be sure to bring one or more for us to dive into. These may be written reports, or you may share knowledge of an incident without a written report. We’ll divide into teams of 2-4 people, with each team analyzing a unique problem. You’ll be amazed at how much you learn in two days that you can immediately apply! To advance your professional development through TapRooT® training, register here for a career-changing experience in Perth!